ASUS, and the Republic of Gamers (ROG) motherboard brand is one of the most innovative PC brands out there. Since the early days of the DIY PC market the ROG engineering team at ASUS have been working hard to on create the ultimate motherboard product offerings. For both Intel and AMD ROG motherboards you can now interface from Overlay.live (via a RaspberryPi) to the onboard ROG_EXT port of the motherboard – allowing you to access a broad range of live telemetry from your system. This is pretty incredible, and actually, even more advanced read-outs are possible with high/low, targets etc. The “Manual” way using for example the Overlay.live nodeJS library and a bit of code. 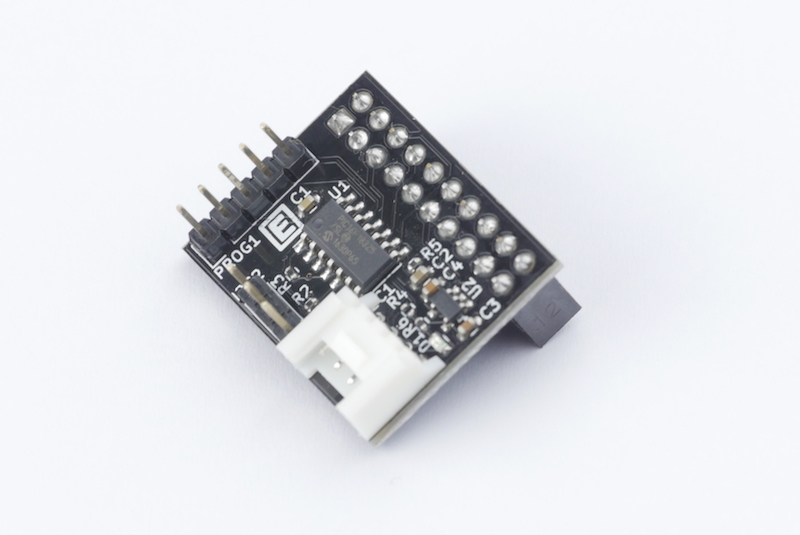 The ElmorLabs ROG_EXT connects directly onto the motherboard’s ROG_EXT port and allows you to read information from the motherboard and communicates via i2c (4 little wires). 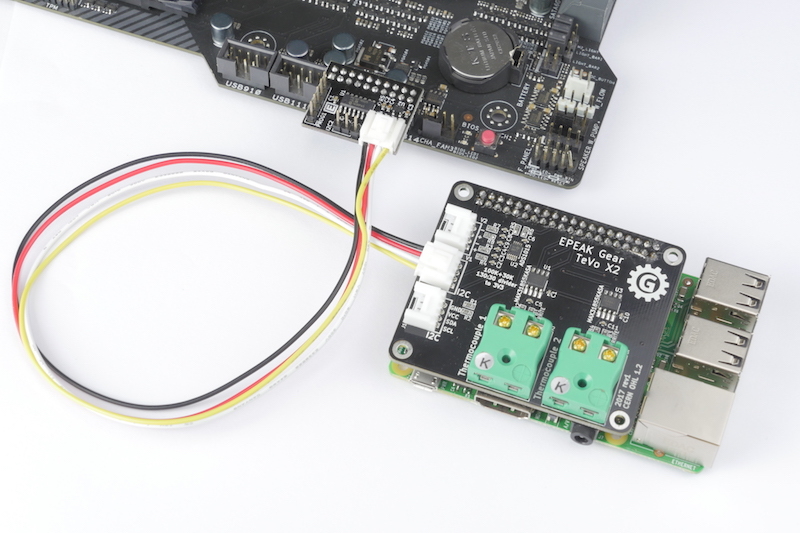 You can connect it to a RaspberryPi and run it automagically as a Managed Device from Overlay.live – it just works. Or, you can customize a few things about it and with a bit of code use it for any projects you may have in mind. We will release sample codes for that a little later. 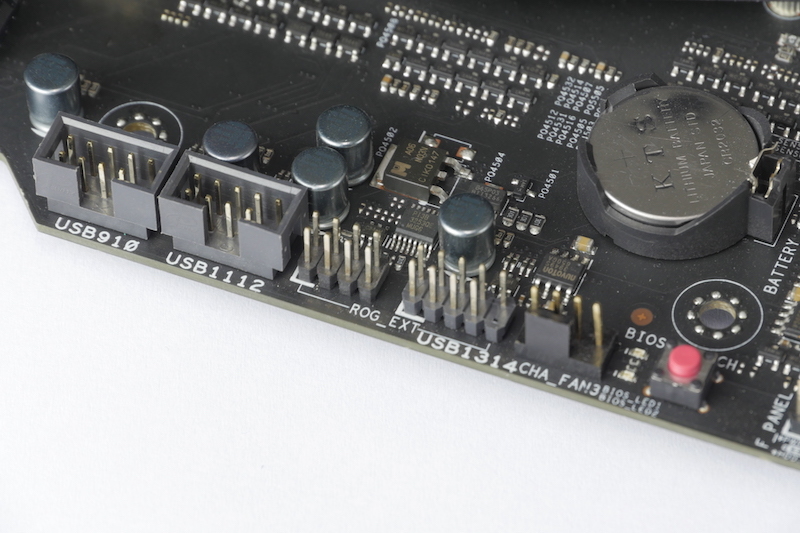 Once connected to your Overlay.live account, you will be able to read, stream and overlay all of the information received from your motherboard. Currently, Overlay.live’s unique Managed Device feature is free. This is a great opportunity for anyone to use the platform to it’s full extend in an easy-to-use fashion. We will be shipping the ROG_EXT alone, or bundled with the TeVo X2. The combo can for many people (mostly overclockers but also techtubers) effectively replace expensive temperature monitoring solutions for a fraction of the costs. And it’s still fully customizable! Note: The TeVo X2 will be shipping end of Q1 2018 – but we would already ship you everything else on order. For both the Starter and Pro pack, the included Overlay.live premium will be retroactively awarded once the current free period is over (sometimes mid-2018). Until then, support is included. We prepared two guides to help you get started with ROG motherboard telemetry on Overlay.live.